The Nature Conservancy works with local communities, governments and organizations to conserve Africa’s important places. Africa’s wild lands and waters are home to incredible numbers and diversity of species living close to people. For most rural Africans, connection to place takes on unique meaning—more so than anywhere else on Earth because their daily existence depends on the productivity of their natural resources. Some 60 percent of Africa’s lands and waters are managed by the people who live on them. These people are undoubtedly the most vulnerable on Earth. A continuing threat is their lack of control over the communal lands and waters they depend on for survival. And as the people struggle, so too does the wildlife that relies on the same resources. Therefore, our work in Africa is focused on perfecting the best examples of community-led conservation across the continent’s vast shared lands and waters. Through our place-based projects in northern Kenya, northern and western Tanzania, western Zambia, Namibia, Gabon and the West Indian Ocean, we have the opportunity to protect more than 37 million acres of land, freshwater and marine habitat by building local institutions and cultivating a culture of conservation that also provides tangible benefits to people. The Africa Conservation Director oversees all aspects of TNC’s Africa Conservation Program, reporting to the Africa Regional Managing Director. The Africa Conservation Director is responsible for delivering conservation outcomes by managing regional strategy directors and country directors. This position will manage 7 to 8 direct reports and serve as the focal point for conservation management with a strong supporting team. TNC has staff in 7 African countries and is exploring work in several others currently. The Conservation Director will facilitate quarterly reviews with project and strategy teams to ensure we are delivering milestones according to schedule and budget. The Conservation Director will also be responsible for coordination between our Strategy leads and our Project (country) Leads. Conservation planning, priority definition and rigorous monitoring of our impact are key aspects of this position. The Africa Conservation Director is ultimately responsible for delivering TNC’s conservation outcomes. S/He leads and manages a large team which implements conservation efforts. S/He will play a key role in fundraising and reporting to donors and helping the strategy and Country teams to maintain key relationships. The Africa Conservation Director will liaise closely with the Regional Director to adjust conservation priorities over time. S/He will join the Africa Leadership Team with peers responsible for Marketing, Fundraising, Operations and Government Relations. The Africa Conservation Director disseminates best practices to the conservation team in Africa, ensures training and analyses to best implement organizational measures of success, and helps develop key partnerships. They build strategic, scientific and technical capacity in the field, develop key partnerships with public and private organizations in order to identify and resolve technical issues and to widely communicate solutions and best practices, and develop innovative scientific methods, analyses, tools, and frameworks to address the natural system needs. 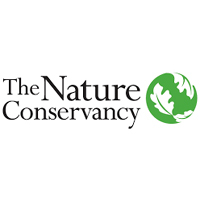 They will help negotiate complex and innovative solutions with government agencies, major institutions, and landowners to conserve and protect natural communities, and develop and implement cutting edge conservation strategies in a high profile geography and major philanthropic market. Geographic scope is Africa with 80 staff, a large annual budget and people working in 7 countries. Often helps coordinate the work of other professionals, inside and outside the organization. Incorporates cross-disciplinary knowledge to support program objectives. High level management and leadership responsibility for 7-8 key TNC regional staff members. Makes independent strategic decisions frequently based on analysis, ambiguous information, experience and context. May require frequent travel domestically and/or internationally, evening and weekend hours. BA/BS degree and 12 years’ experience in conservation practice or equivalent combination of education and experience. Experience designing, implementing, and directing complex or multiple projects of strategic importance, including managing finances, supervising multidisciplinary professionals and coordinating the work of partners while meeting deadlines. Experience networking with high level conservation contacts and Government officials. Experience conceiving and implementing strategic and creative initiatives. Fundraising experience, including identifying donor prospects and donor cultivation. Multi- lingual and multi-cultural or cross cultural experience appreciated. Master’s degree and 12-15 years’ experience in conservation practice or equivalent combination of education and experience. Experience developing practical applications of scientific concepts and technical innovations for conservation purposes. Knowledge of politics and society with respect to environmental affairs. To apply to position number 46446, submit resume (required) and cover letter separately using the upload buttons. All applications must be submitted in the system prior to 11:59 p.m. Eastern Time on May 25, 2018.